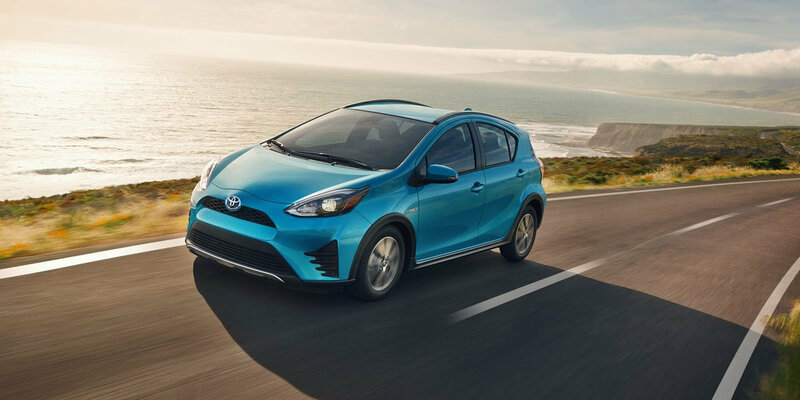 Take a legend in fuel economy and the standard for eco-friendly commuting, make it even more fun and functional, and you have the 2019 Toyota Prius C! Toyota has taken its flagship, eco-centric, vehicle design and engineered it into a lively little compact version of itself. 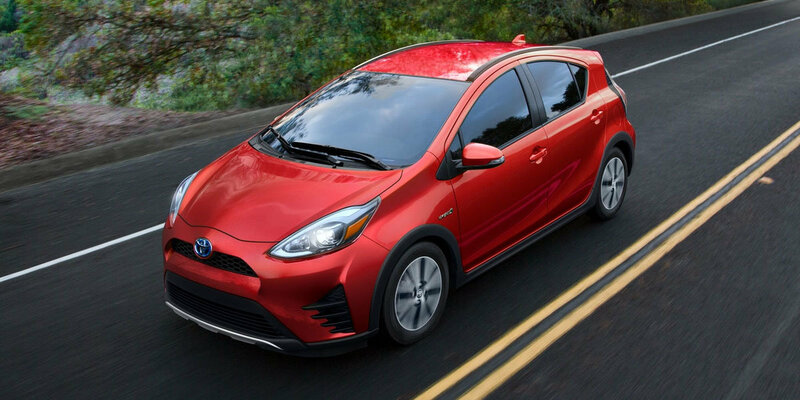 Toyota has given the all-new 2019 Prius C a sporty facelift. This trendy hatchback has a fun design and all the comfort, convenience and performance of its bigger siblings. With a selection of eye-popping colors and 15-inch machined alloy wheels, show up in style for your weekly sushi fix at Morgantown’s Ogawa Japanese Restaurant. A reverse camera and proximity sensors are standard equipment for the 2019 Prius C so finding parking for the Spring Arts Walk in Downtown Morgantown is made so much easier. Pair your cell to the Entune® Premium Audio via Bluetooth® and stream your favorite tunes through a rocking six-speaker system. Use the built-in advanced voice recognition to make calls with no distraction from the task at hand. 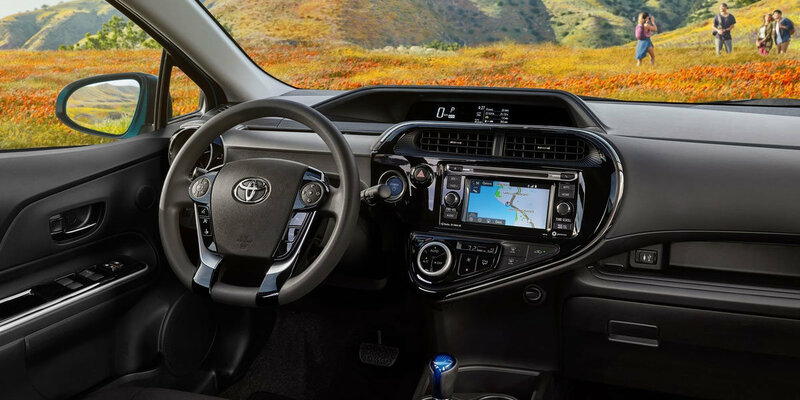 Toyota’s 5-star graded Safety Sense package is standard on the Prius C, along with an advanced 9-airbag system (even more than in the 4Runner!). 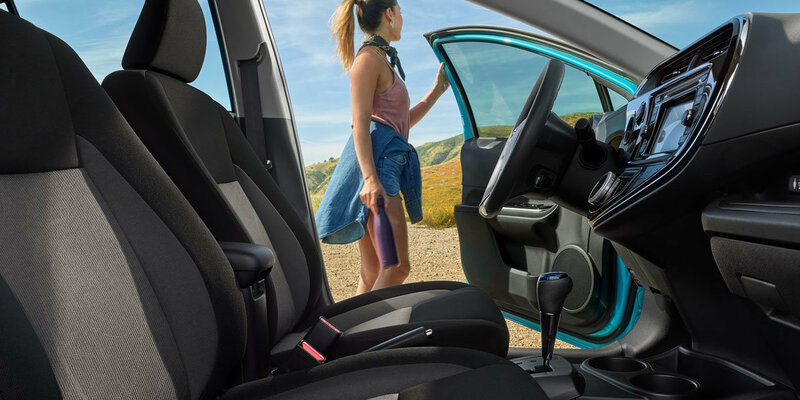 The 2019 Toyota Prius C gives you invaluable peace of mind on your daily runs, or if you have a regular work commute in Westover, across the Monongahela River. Choose the sporty compact in Toyota’s best selling, eco-friendly, vehicle line up! Test drive a Prius C and find out why it is right for you. Friendly and knowledgeable staff at University Toyota are ready and waiting to help you into your new Toyota. Call us at 304-244-3519, University Toyota your full service center in downtown Morgantown. Instrument cluster screen size: 3.5 in. Instrument cluster screen size: 3.5 in. Infotainment screen size: 6.1 in. Infotainment screen size: 6.1 in. Includes front and rear all-weather floor liners and cargo tray.